The Kamloops Heritage Railway Society (KHR) is a registered charity under the Societies Act. 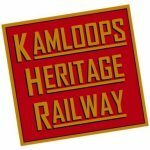 KHR has a mandate to operate the steam engine 2141, the “Spirit of Kamloops” for the public, on behalf of the City of Kamloops. The KHR relies heavily on volunteers to maintain the equipment and run the railtour program. It would not be possible to operate without them, the support of the City of Kamloops, and the gracious assistance of both the Canadian National and the Kelowna Pacific Railway. Volunteering is a huge part of Kamloops Heritage Railway. Our 1912 steam locomotive was restored through thousands of hours of sweat equity by our many skilled volunteers. The KHR continues today to be volunteer-driven!